We'll give you a call and set an appointment that's convenient for you. For adults and children alike, bi-annual dentist visits instill fear. It can be incredibly difficult to regularly take your child to their dentist appointments when that fear is so deeply rooted. You may be wondering what in the world you could possibly do to avoid that fear? The staff at Smile Reef are here to share some tips that could help your child overcome their fear of the dentist. This is a big one. Schedule your child’s first dentist appointment when they are around one year old or when their first tooth appears. You may find that you are in need of a dentist for a tooth emergency or just for the standard preventative visit, but you want your child to be able to handle the visit for whatever reason, with ease. Getting comfortable at the dentist young will help this happen naturally. When you are preparing your little one for their first visit to the dentist, be as vague as possible. Try not to share too many details about what may or may not happen while they are at their appointment. Always have an upbeat, positive attitude when discussing the visit, but don’t tell them everything will be fine when there is a potential problem with your child’s teeth. This creates distrust. Although, you don’t want to use words like pain, shot or hurt when speaking of the dentist either. When it comes down to it, use your words wisely and the appointment will have a better outcome. A great way to get your child ready for their first appointment is to play dentist one afternoon. Have them lay in a soft chair and use a toothbrush to clean their teeth. You can also count the teeth during this mock appointment. Never pretend to use a drill or shot while pretending you’re at the dentist, but make it fun. If this is your child’s first time visiting the dentist, be prepared for a little fussing. This is an uncomfortable environment for your child and they are bound to feel insecure during their first visit. It is always recommended that you have a discussion from a very young age with your child about the importance of good oral hygiene. Explain to them how important it is to have healthy teeth so they can eat, and that a visit to the dentist isn’t a choice, but a necessity. Use words they can understand in trying to help them feel more comfortable with oral hygiene. If you follow the steps above, you are setting your child up for the best dental appointment you possibly can. Even when you follow these tips, your child might have a hard time at their first appointment. The friendly, skilled dentists at Smile Reef will do everything in our power to ensure your child has a successful visit with us. 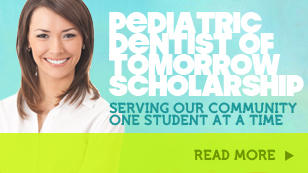 Call us today to schedule your child’s first or next dental appointment. Anyone, but particularly children, can have a difficult time going to the dentist. Children in general can find the stranger wearing a mask to perform intrusive procedures intimidating. Not understanding the situation, it can be difficult for the dentist to conduct dental needs safely and effectively. Children with special needs, low attention spans, and natural phobias can have even more of a difficult time with dental visits. Under going sedation prior to dental procedures can be an optimal solution, many kids, no matter the circumstances, can still benefit from sedation dentistry services. 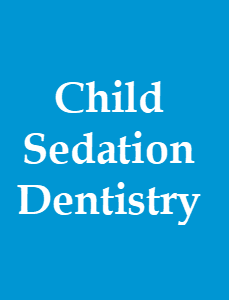 With that in mind, we at Smile Reef would like to take the opportunity to discuss sedation dentistry for children. Sedation dentistry is a great alternative to stressful situations and uncooperativeness stemming from high anxiety. For kids that are overwhelmed and frightened of the prospects of visiting the dentist’s office, sedation therapy is a safe and effective method to provide the dental treatments they need without adding more kindle to the fire, so to speak. Below you will find a few common techniques to sedate the little ones for dentist work. –	Oral Sedatives. For children with high anxiety, oral sedatives are a recommended prescription. Ideal for routine checkups, or single cavity fillings, this medication is taken about 45 minutes prior to their appointment. They are fully conscious and aware of their surroundings and depending on the procedure, may still need a local anesthetic to avoid pain. The sedating medication takes the edge off their anxiety to be in a relaxed state. –	Nitrous Oxide. A stronger method than oral sedation, this approach is recommended for kids with moderate dental phobias. Nitrous oxide is an odorless and tasteless gas that puts children in a conscious sedation during their procedures; as it is inhaled just before their dental treatments begin. The gas is worn off within a couple of hours and has no lingering effects. –	Intravenous Sedation. This method is recommended for children with extreme dental phobias or those that require intensive dental treatments. Your child is always supervised as a qualified staff member monitors the heart rate and blood pressure through the duration of the procedure. Just before treatment starts, an IV injected imposes a benzodiazepine agent into the bloodstream. Below are just some of the benefits you and your child receive in sedation dentistry. 1) Your child can avoid excessive appointments to the dentist as sedation dentistry allows the dentist to complete more procedures where necessary. 2) It is often challenging for children that have behavioral or emotional disorders present as well as those with special needs to sit still long enough to give the dentist an opportunity to fulfill their tasks. Taking advantage of sedation dentistry can help these unique kids get the dentist care they need without undue hardships. 3) With sedation dentistry, children who have a sensitive gag reflex, especially where dental needs are concerned, can benefit as the gag reflex is suppressed, and the dentist can use their tools efficiently; avoiding your child from being self conscious or embarrassed. 4) The memory of sedation dental procedures inadvertently blocks the memory of the visit. 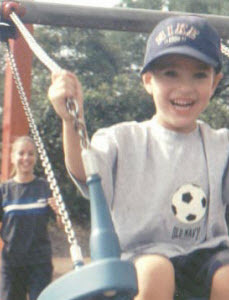 Over time your child may not have to endure sedation for dental treatments; overcoming their fears. 5) Not only just sedating your child, but also paralyzing the nerve endings, the nitrous oxide relieves any pain inflicted during dental procedures. If you want to further discuss the option to sedate your child during their dental procedure, call Smile Reef today! Should You Take Your Child to a Pediatric or General Family Dentist for Check Ups? Most parents and guardians of little children, if not all, are greatly concerned about the growth and development of children's teeth especially in this day and age where almost any food available in groceries and restaurants are loaded with sugar and or sucrose which greatly contribute to the formation of cavities, eventually resulting to tooth decay. From the time that the first set of baby teeth comes out, pediatric dentists would already heavily advise parents to start a religious and proper care routine of their children's teeth to ensure that the proper development of these important part of a child's mouth are done with the right techniques and required consistency. Caring for baby and children's teeth takes a lot of effort since children are not expected to care for their own set due to their limitations in capacity and information. That is why until children reach the stage where they are capable to care for their own teeth comes, the weight of the call rests on the shoulders of the parents. It is for this reason that proper oral care for children begins with choosing the right dental office which houses the best pediatric dentists who will be the partner of parents in ensuring that their children's oral care are safeguarded. Las Vegas Children's Dentist is a dynamic and vibrant supporter in the campaign against early onset of tooth decay in children's teeth. Certified and competent, this Dentist for kids in Las Vegas, very carefully and thoroughly instruct and teach good oral care to parents and children. This dentist follows the best practices in worldwide standards and features state of the art dental equipment that allows not only for the best oral care of each patient but also creating an environment that is friendly and accommodating to kids and children who frequent this pediatric dentist office in Las Vegas. To begin early oral care for babies, a competent and friendly Las Vegas dentist from a reputable pediatric dentist office will advise that even before the eruption of the teeth, a child's mouth and gums should be wiped after meals with a clean, soft damp cloth to make sure that excess food would not linger in the mouth. These excess foods when left in a moist area like the mouth would form bacteria which would eventually get lodged in the baby's first set of teeth triggering the beginning of tooth decay. A meticulous and caring kids dentist in Las Vegas would also advise that to prevent the onset of pre-mature cavities, it is best to give babies plain water when sipping at bedtime to prevent baby formula - which sometimes contain sugar - from settling in the mouth which also invites cavity formation. Once the first set of baby teeth comes out, the practice of brushing should also commence, normally beginning with soft bristled baby toothbrush combined with a non-fluoride toothpaste or even just plain warm water to gently clean every part of the emerging teeth. A licensed Las Vegas children's dentist is a strong support in making sure that these early oral care regimens are done by the parents regularly to avoid unnecessary formation of tooth decay that could prove to be costly to take away using dental procedures. Children's dentist in Las Vegas recommends that children's toothbrushes should be replaced every two to three months taking special note of the appearance of the head bristles to make sure that they still serve their purpose of thoroughly cleaning the teeth. There are several pediatric dentist in Las Vegas so one must be very careful to choose the best, and the best pediatric dental clinic must not only be concerned about treatment but more so on prevention methods. So far Las Vegas pediatric dentistry is a cut above all other pediatric clinics because of its practices on preventative measures that do away with costly teeth drilling and fillings. Children develop their baby teeth as preparatory ground for the eruption of the final adult teeth which they would use for the rest of their lives. Many parents feel that since baby teeth would still be replaced, they could be more relaxed in spearheading for their children's oral care. But this is very far from the truth since the condition and health of the baby teeth would also greatly determine the condition and health of the permanent teeth. Parents are advised that the first visit of their children to the dentist should happen when babies are 12 months old and prior coaching such as open your mouth or saying 'ahhh' must be done to avoid too much time on the dental chair which might be very scary for some kids. Dental patients could rest assured that reputable pediatric dentist in Las Vegas would be more concerned with prevention but would also be very competent when treatment is necessary. A parent could expect that a children's dentist in Las Vegas is well trained in handling children especially the first timers who might have reservations in seeing a dentist for the first time let alone open their mouth for a stranger. But the first visits to the dentist are crucial because those are the times when good oral plan is discussed aside from giving out the message to the children that dentists are friends not enemies to increase their trust and confidence with them. A well trained dentist for kids in Las Vegas would also discuss the availability of important pediatric care such as the application of fluoride and sealants that help protect baby teeth from plaque and cavities. The substance fluoride help make the teeth stronger by protecting them from the initiation of dental caries and tooth decay while at the same time re-mineralizing areas of the teeth that get weakened by acid coming from leftover food or juices which the children consume. Las Vegas pediatric dentistry is known as one of the best pediatric dentistry all over the United States which practices not only the best dental techniques using state of the art equipment, a Las Vegas dentist also has the best techniques and rapport with children patients giving them a wonderful experience inside the clinic that helps ensure repeat comebacks for consistent and thorough oral care. Las Vegas pediatric patients could expect that as they step inside a Las Vegas pediatric dentist office they would experience the best pre and post care evaluations not to mention above standard procedures including the application of necessary treatments that are non-threatening, very friendly and truly professional. Las Vegas pediatric dentistry is unchallenged when it comes to everything that makes oral care for children fantastic and something to look forward to and having children as clients that speaks highly of the credibility and expertise that a kids dentist in Las Vegas has to showcase and bring to the table. So next time you are in great need of an expert in oral care for you and especially for your young children - including those cute toddlers- consider pediatric dentistry in Las Vegas and you might not go anywhere else after trying its services. With the rising cost of dental care each year, wouldn't you want every dime you spent on it to be truly worth it? And wouldn't you want to see those beautiful and sparkly teeth on your children as they flash you their beautiful smiles? All of these and more could be yours by just visiting a reputable Las Vegas pediatric dental clinic. Check your directory for assistance or better yet take the word of our loyal customers who have given their generous testimonials of how happy and satisfied they are with our services. We assure you that you will have the best oral care on our hands and we will ensure that your children's teeth are not only taken cared of, they will also pass on the legacy of consistent and excellent oral care with their children and their children's children. One of the best kid friendly dental offices you will find in the state of Nevada is the Las Vegas Pediatric Dentist Office. It's got the best ways and practices of making sure pediatric patients are well taken cared of and assured of warm, non-threatening dental procedures that help them ease up and become comfortable in this environment. Many parents regard a beautiful pediatric dental experience as part of the success why children stick to proper oral acre and why they regards a dental visit as an exciting adventure rather than a traumatic one. The Las Vegas pediatric dentistry is one of the top pediatric dental practices not only in the whole State but could also be compared, if not above, other dental pediatric practices in the United States. Parents coming from other nearby States bring their children to experience pediatric dentistry in Las Vegas because of its very popular kid-friendly atmosphere that children would sometimes forget they are inside a dental office. Parents love that their children are having a great time while having their excellent oral check up or procedures and children enjoy because it's like going to the zoo or the park where the environment is fun and lively and not scary at all. From themed rooms with matching themed cups and bibs, the pediatric dentist office in Las Vegas is a must see and must experience for all children. The pediatric dentists are well trained and well equipped to handle pediatric patients but the thing that endears all of them to their kid patients is the way they make cleaning teeth an exciting and fun thing to do rather than a boring chore that must be done regularly. And if dental procedures are needed such as drillings and putting of sealants, the expertise of a Las Vegas Dentist would surpass everyone's expectations including adults and parents who often have had traumatic experiences inside a dental office. So come now and visit us and see and feel the difference or better yet let your children tell you the difference with their exciting dental experience Truly it is like not going to the dentists at all!